Roxanne Lagano was appointed executive vice president and chief human resources officer at Zoetis in November 2012. In this role, she is responsible for the company's worldwide human resources management. In 2015, Ms. Lagano was also given responsibility for the corporate communications function. 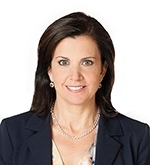 Prior to joining Zoetis, Ms. Lagano was senior vice president, Global Compensation, Benefits and Wellness for Pfizer. In that role, Ms. Lagano was responsible for the design and implementation of Pfizer's compensation and employee benefit programs around the globe. She was also responsible for Pfizer's wellness strategies, including the Healthy Pfizer program, and for the human resources aspects of the company's merger, acquisition and divestiture activities. Ms. Lagano joined Pfizer in 1997 as manager, Tax Planning, after specializing in employee benefits, executive compensation and mergers and acquisitions at Schulte, Roth and Zabel, LLP, a New York law firm. After joining Pfizer's legal division in 1999, Ms. Lagano joined Pfizer's Human Resources organization in 2000. During her time in HR for Pfizer, Ms. Lagano held various positions of increasing responsibility, including senior director of business transactions (HR) and senior director, employee benefits. Ms. Lagano holds a Juris Doctor degree from Hofstra University School of Law and a Bachelor of Science degree from Long Island University.